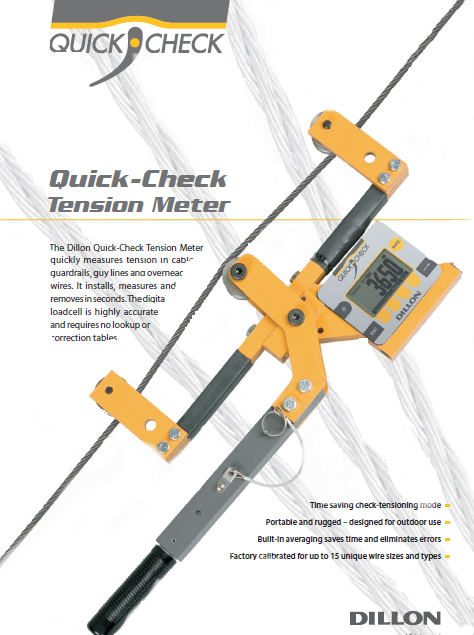 The Dillon Quick-Check can be placed on a cable, measure its tension, and removed in under five seconds! There are no complex lookup tables, no conversion charts. 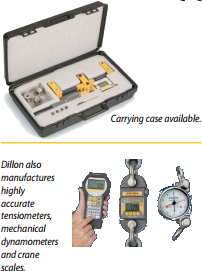 The operator can quickly select from 15 different wire sizes and types stored in Quick-Check’s memory. The Check Tensioning mode graphically displays the current and target tensions for extremely quick setting of line tension. Even the infrequent battery changes are quick. Display:Dot-graphic LCD display supports full text and 1 inch high digits.